Paddle Board Outfitters exists to sell a product that delivers performance & emphasizes style. We design, engineer & produce our own paddle boards & paddles & offer free delivery to all our Rentals. We supply rentals to Whitefish, Kalispell, Bigfork, Somers & Lakeside Montana. SIZES | 9'2 x 31" x 5 1/2"
“The Fhat Boy” is designed with performance in mind. It is an extremely fun board. It is a 5 fin set up. If you are going out to catch some waves or just wake surf behind a boat, than you will be very pleased with this board. It has a deep double concave which gives you the speed you need. I have surfed personally with it and is a blast. I also take this board out a lot for just a leisure paddle. It is a great board for all ages. Kids love it because it is smaller and really easy to maneuver. All of our boards come with a Go Pro mount built into the board on the nose, allowing you to capture every moment on the water. Every board purchase comes with a leash, paddle and fins viewed in pictures. SIZES | 12'6 x 29" x 6"
“The Racer” is designed for speed. It is a single fin set up. I use this board personally a lot. It allows you to go out on the water in large swells with it’s canoe style nose to plow through the water without slowing you down. 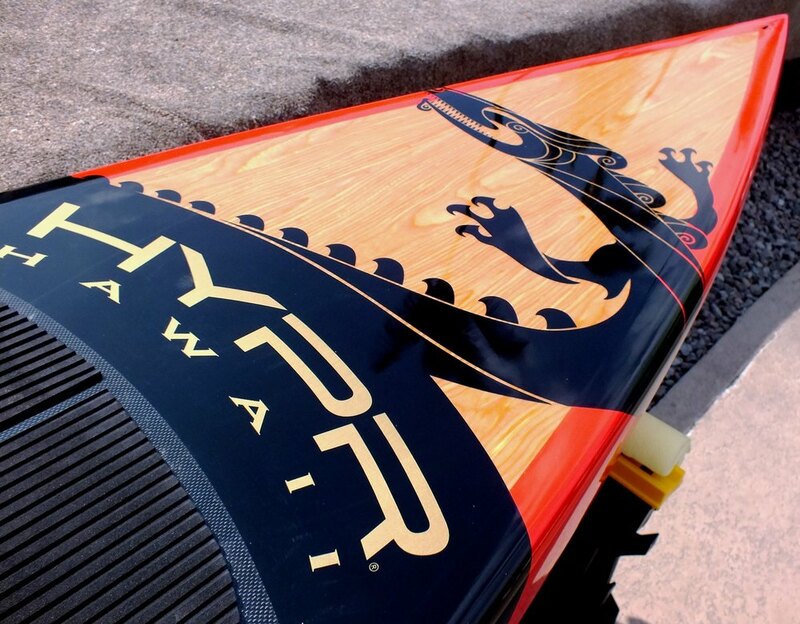 This board will blow you away with the speed you can have paddling. If you are a fitness freak and love the feeling of a great workout, than I promise this is the board for you. You will never have enough time on the water with “The Racer”. SIZES | 9'6 x 28" x 4" | 10'6 x 28" x 4" | 11'6 x 29' x 4 3/4" | 12'6 x 30" x 5"
“The Gun” is designed with Speed and Performance in mind. It is a Big Wave/Paddle board with a 3 fin set up. Bottom has a double concave which produces less drag on water. The Top also has a concave which produces easy tight turns. 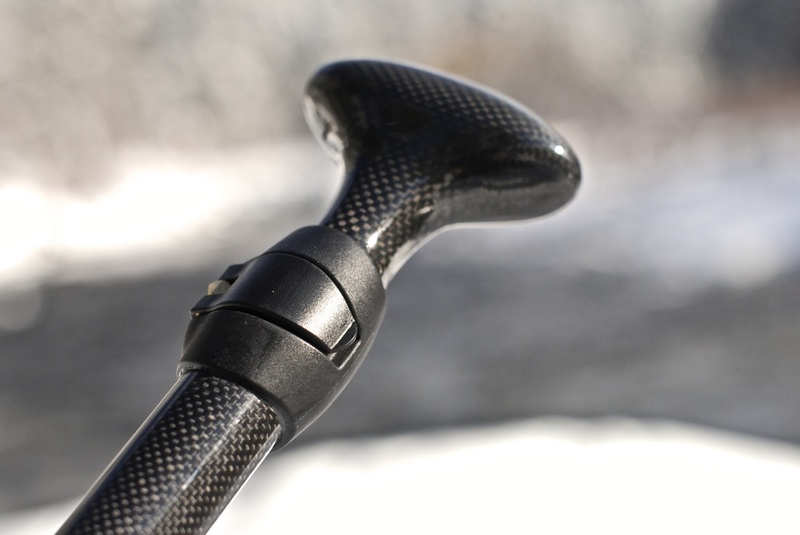 The Gun has carbon rails. This board is extremely light weight. SIZES | 9'6 x 29 1/2" x 4" | 10'6 x 29 3/4' x 4 1/2" | 11' x 30" x 4 7/8"
“The Kaimana” is one of our most sought after boards. Kaimana origins from the Hawaiian language and means 'the power of the ocean". It has a beautiful veneer combination that screams luxury. This is one of those boards that you can use on the water and hang up on the wall as a piece of art when you get home. It is that beautiful. It is one of the lightest boards being produced. It’s pointed nose gives you the maneuverability that moderate/experienced paddlers love. It is a multifunctional board. Because of it’s double concave bottom it creates less drag while paddling or surfing. All of our boards come with a Go Pro mount built into the board on the nose, allowing you to capture every moment on the water. Every board purchase comes with a leash, paddle and fins viewed in pics. SIZES | 11' x 30" x 4 7/8"
"The Ebony Gold Ltd.” is one of our most sought after boards when it comes to the client wanting beauty and elegance. It has a beautiful veneer combination that screams luxury. This is one of those boards that you can use on the water and hang up on the wall as a piece of art when you get home. It is that beautiful. It’s pointed nose gives you the maneuverability that moderate/experienced paddlers love. It is a multifunctional board. Because of it’s double concave bottom it creates less drag while paddling or surfing. SIZES | 11' x 32" x 5 1/8"
“The Ohana Series” is a board designed with the Beginner in mind. Ohana in Hawaiian means "family". It’s one of those boards that enables you to carry up 2 people on comfortably for a leisure paddle/sun bathing. It also has the casual small Wave Surfer in mind. The diamond tail enables the surfer to keep your speed in the wave. This board can handle up to 280 lbs very easily. It comes with many different color options allowing you paddle with your style. Wood veneer choices are either Teak or Bamboo. Board Construction | All of our boards we sell are built with performance at the forefront of their engineering. This is why we use an EPS foam core giving the board the strength & light weight. They are then coated with veneer and paint to give them the style that sets them apart from all other paddle boards. They are coated with Epoxy 2-3 times & then vacuum bagged twice to give them the strength. All boards sit in the water and float, but what separates paddle boards is both the weight & shape of the Hull Design. Our boards are lightweight & give that water enthusiast the speed. We appreciate our customers and this is why we offer a 30 min Free Lesson with every board purchase when picked up locally. We are based out of Whitefish, Montana. We go to the extreme in teaching our customers about the product we sell and want to make sure we deliver to you a product that caters to your desires. We offer Free Shipping on all our products to the Lower 48.